Furniture components with the highest gloss levels (<90 GU) or a super matte look (>5 GU) are in trend. Nowadays large manufacturers of wood materials and furniture worldwide are relying on the HotCoating technology to finish large melamine and chipboard panels. Widths of 1220 to 2400 are in use. The brilliant properties include highest color precision, incredible depth effect, a velvety feel, and tremendous scratch and impact resistance. In comparison to conventionally lacquered panels, the processing properties during drilling, milling and sawing are especially impressive. It takes the right surface to make a piece of furniture special. Not only is the appearance a decisive factor, the properties during subsequent processing and use are also important. 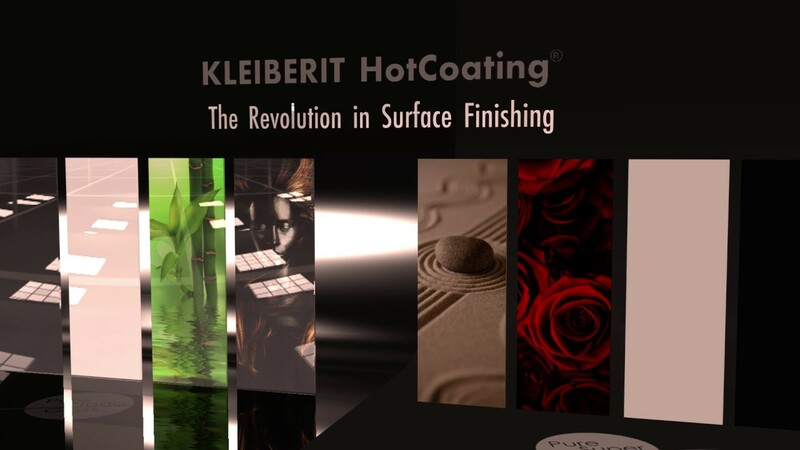 One of the major advantages of finishing with HotCoating is the flexibility of the surface. It allows for the production of both curved furniture components and shaped furniture parts in the direct postforming process (Design-Edge) with the smallest radius, without stress-whitening. Combined with digital print, a seamless transition from surface to edge offers new possibilities in furniture design.